While writing a post on a blog there is often a need to insert images and videos. Also we might need to make certain files available with the blog. Videos and Images often are used by bloggers to better illustrate or demonstrate their points. This article deals with managing media files in WordPress. How it works with Blogger! 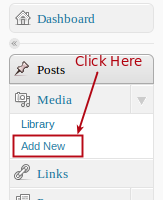 While writing a post in Blogger.com you might use simple “Browse..” button to upload images and videos from local computer or from “Web Address URL”. In Blogger.com you can only add an image or video while you write a post. How it works with WordPress! WordPress gives us two options under Media menu “Flash Uploader” and “Browser Uploader“. 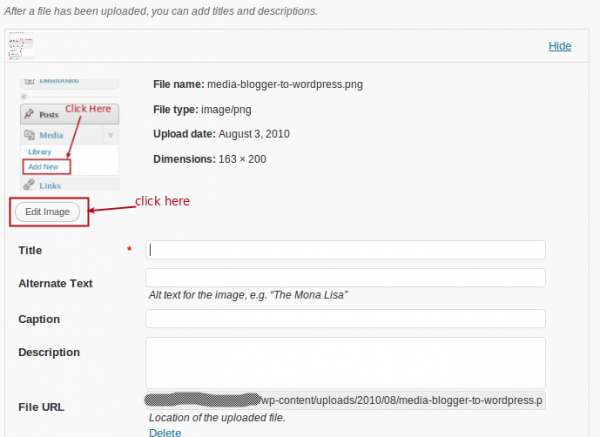 WordPress shows you all the uploaded files in a list and you can also edit them. We can also use “File URL” multiple times in different posts and pages. Note: A “File URL” is the URL of where uploaded file can be accessed. Login to WordPress dashboard panel. Go to Media menu on left sidebar of the dashboard and click on Add New. 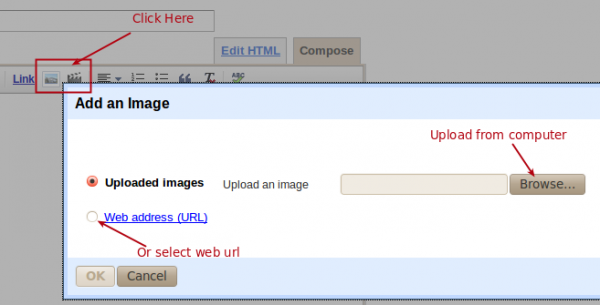 You will get two options for uploading media which are Flash uploader and Browser uploader. By default WordPress has Flash uploader selected (see image below). Now once the file is uploaded it will show us options to add title, description, alternate text, etc.. Copy “File URL” and paste it into your post or page content where you want. Click on the Save All Changes button. You can see all the uploaded media files in the Library menu. Also by clicking on edit option you can find “File URL“. Just as you can add images and videos with Blogger.com, you can do the same while writing a post using WordPress. The big difference is that you can upload and manage files without writing a post on WordPress. This doubles up WordPress blog like your own personal FTP which can store files online.